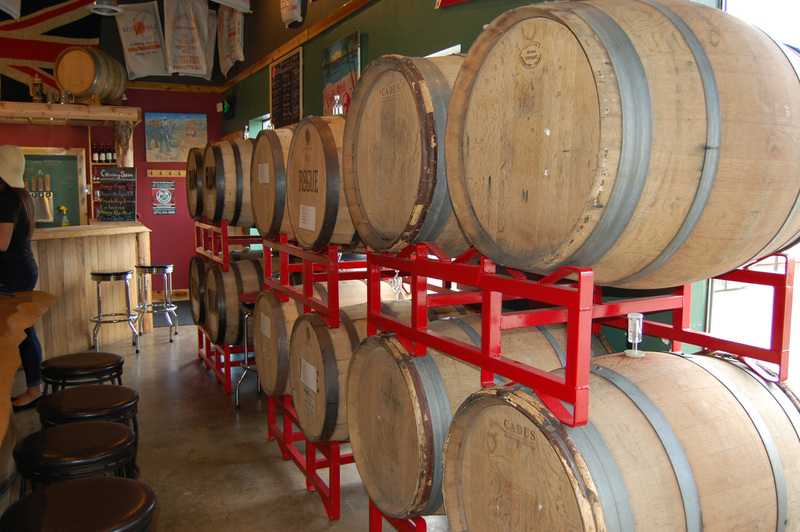 The brewery tasting room is surrounded by barrel aging beers. Barrel aged beers are released periodically throughout the year, often preceded by a pre-release party where beer connoisseurs can sample special tastings. Peoples Choice Award winner at Oregon Garden Brewfest in both 2013 and 2014, as well as at Bend Brewfest in 2015, Santiam Brewing's Pirate Stout is a regularly available barrel aged beer. This tropical stout is partly aged in once used Rogue Distillery Dark Rum barrels before a brief encounter with with some dried organic coconut and subsequent kegging. Keep your eyes on our Facebook page or here on our release and event pages, for pre-release party announcements and release announcements as particular beers become available.